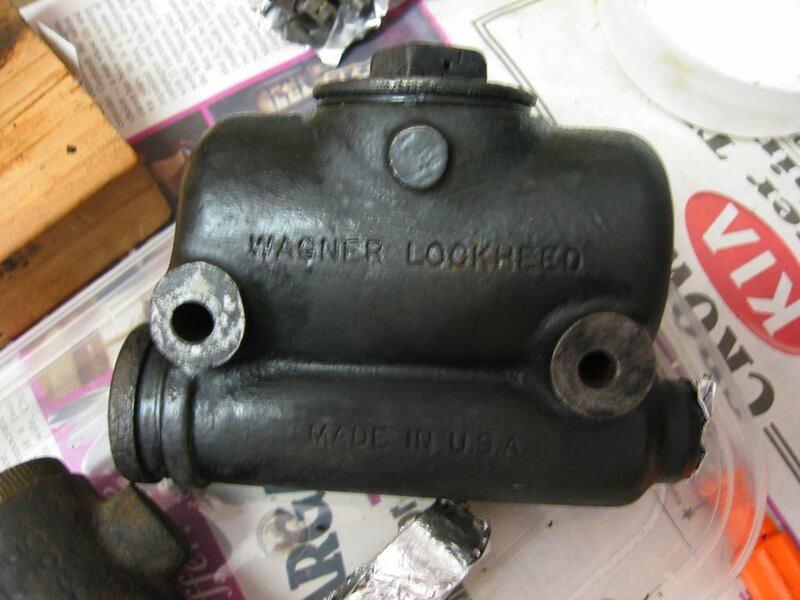 I really thought I had the brakes working but when I checked the master cylinder later I found that the banjo union between the master cylinder and the hill holder was leaking. The banjo union is sealed by two copper washers and the one on the master cylinder end was leaking (in the red circle on the right). 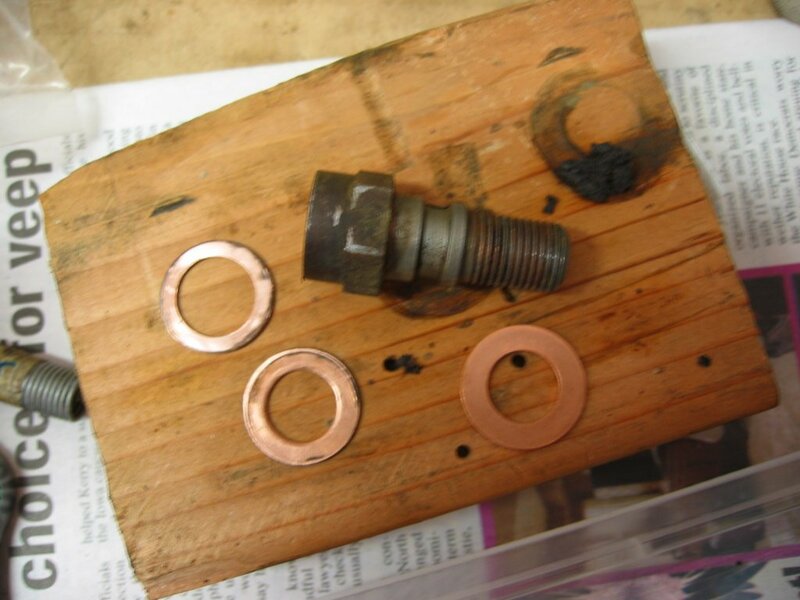 I knew it was a bad idea to reuse the old copper sealing washers so I took the entire mess apart (again!) and put in a new washers. The fitting’s bolt is in the picture on the left as are two old washers and one new one. After all this fooling around I put the system back together and leak-checked it. It still leaked. I was about ready to cry! For lack of anything better to try I took it apart again (third time!!). On my previous attempts I had been cautious and gentle about tightening the fitting. 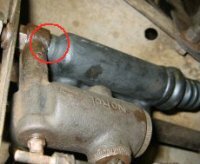 This time I jammed the master cylinder in my vice and cranked that sucker down. So far the fitting STILL has a little seepage but it is damp rather than dripping all over my garage floor. I will keep an eye on it. 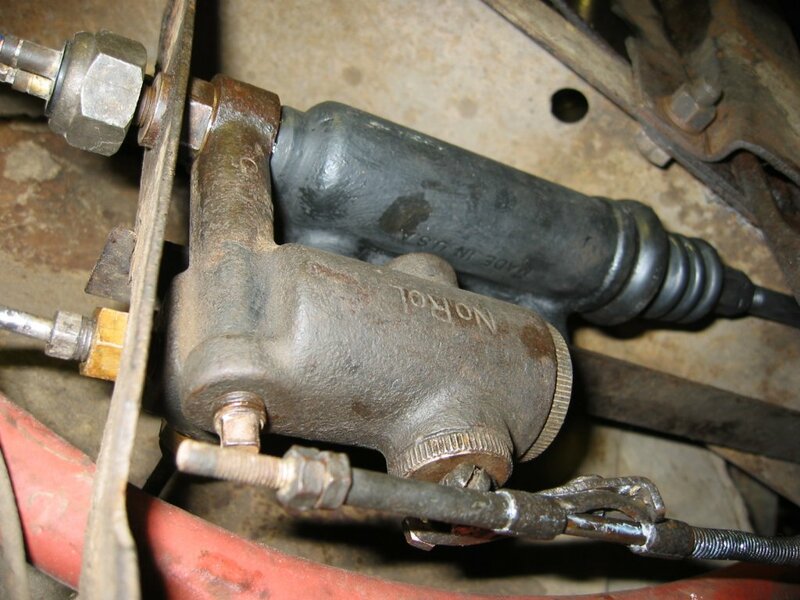 Here is one more gratuitous shot of the master cylinder. 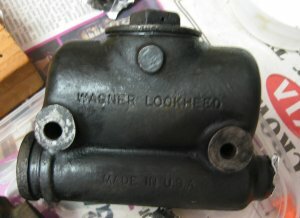 I get a real kick out of working on a car from a time when “Made in USA” was a given.